The San Francisco Dyke March is a celebration of love and passion for women and for ALL dykes, including those of us who are questioning and challenging gender constructs and the social definitions of women: transdyke, MTF, transfeminine, transmasculine, genderqueer, and genderfluid dykes. Kick off your Dyke March Day with OFC! We're hosting a potluck brunch for the whole family at the entrance of Dolores Park's fantastic playground. OFC will be bringing coffee, bagels, fruit and juice. What are you and your family bringing to share? Register now! 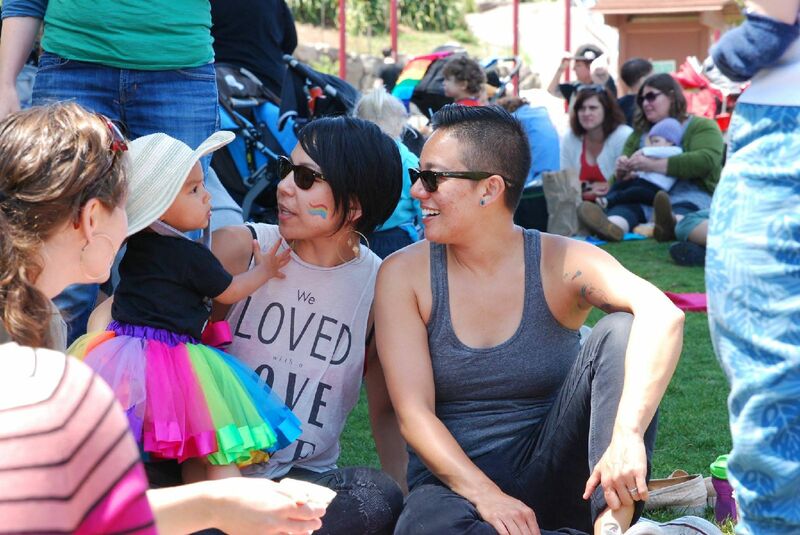 Click HERE for more information about the San Francisco Dyke March 2018.